Sitelok 5.6 contains a number of new features, tweaks and bug fixes. 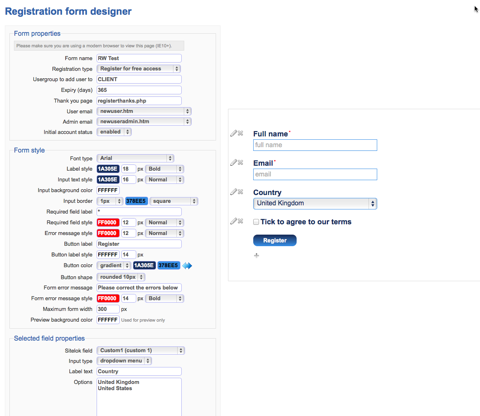 Registration form designer now allows multiple usergroups and expiry times to be entered. Email template size limit increased to 500K. It was 100K which was a little small. Support for Digital Ocean storage. Works like S3 using do| at the start of the path. 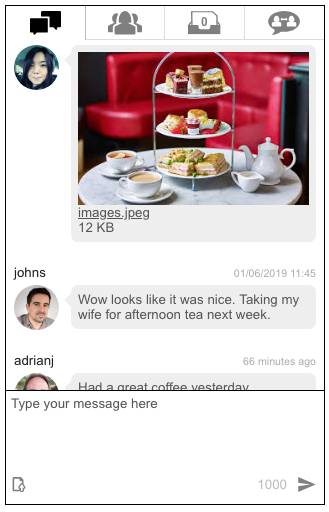 Registration and Update profile form designers now have an Image Type field for the Messaging & Profile plugin (when installed). Registration form support for CoinPayments Plugin. Added new !!!previousname!!! and !!!changedname!!! type email variables for the modify profile form. Modify profile form now only sends emails if changes were actually made. Feature to save and load dashboard layout to a file. Our new CoinPayments plugin allows you to charge for access to your site using any of the crypto currencies supported by the CoinPayments service which has no setup or monthly fees and low transaction charges. We have been working hard on a major V2.0 update for the Blab messaging and Profile plugin and now have a beta that existing users can download from your account. It should be backward compatible with any pages you have already setup but remember it is a beta version. We have also decided to rename the plugin as just Messaging & Profile Plugin removing the Blab part as this caused confusion with another similar messaging system. 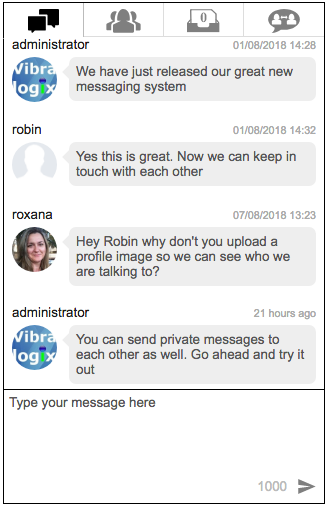 This new version has a new combo messaging box that allows users to see their private inbox, a searchable list of users, as well as chat with users. Optionally the same box can show public (non private) messages as well. The Sitelok dashboard also provides direct access to the combo chatbox from the header and shows how many unread private messages you have. There is a built in snippet generator allowing you to easily generate the code needed to add message boxes to your pages. Please let us know how you get on with this beta version. The new Snippet Generator help create commonly used code snippets. For example it can generate the snippet used at the top of the page depending on the features you want included on the page. The form designers now allow you to either select standard browser fonts or to enter your own, including Google fonts. You can allow users to join or leave usergroups on a user update profile form. This is useful for usergroups that you use to control mailing lists for example. The Stripe plugin for Sitelok has been updated (now V1.4). Includes a new API function to return the date stamp for the next payment (renewal) and some big fixes. 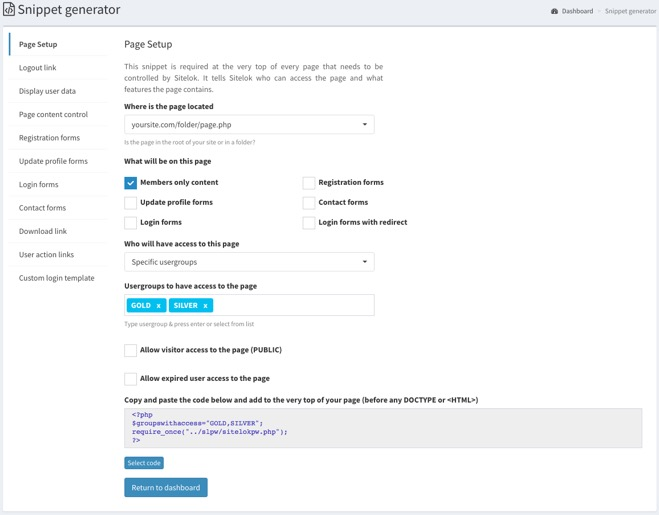 We have released V1.8 of the Facebook plugin for Sitelok to handle Facebook's new strict mode for redirects requirement. After updating the plugin you should login to your Facebook app and enter the following URL's (changing yoursite.com for your domain of course) into the Valid OAuth redirect URIs field. The manual has further details about the Facebook app settings. We have released a new supplementary manual for Sitelok which explains how to integrate with Blocs V2.5 or above. You can download the manual using the link below. Please note that this should be used in conjunction with the main Sitelok manual. We have released a new supplementary manual for Sitelok which explains how to integrate with WYSIWYG Web Builder. Beacon is an embedded popup help and contact widget from Help Scout. 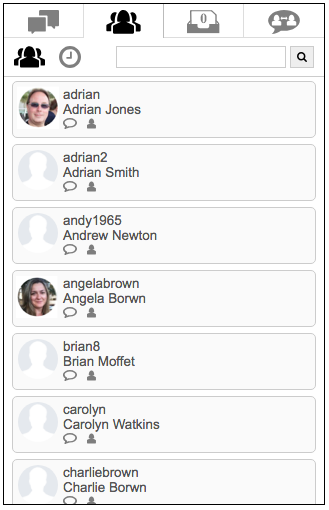 This plugin allows you to add the Help Scout Beacon to your members pages and to pre-fill the members name and email automatically when they contact you. You can also personalize messages using the members name or other details. You can also include data from other Sitelok fields with the message which will appear in Help Scout's notes section so that the information is instantly available when you receive the message. You can also include a lik back to the users edit page in the Sitelok control panel. 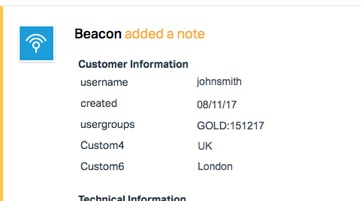 For more flexibility you can define two Beacons one of which is used when users are not logged in (visitors) and one for logged in members. We have updated the Stripe plugin so that the styling matches Sitelok V5. Its still backward compatible with older versions too. We have update the Paypal plugin so that the styling matches Sitelok V5. Its still backward compatible with older versions too. We have released a free Sitelok plugin to allow single sign on with the Website Toolbox forum. The Who is online plugin has been updated to V1.7. This version has been re-written for Sitelok V5 (but still backward compatible) for better integration with the control panel. It also has new functions allowing data to be updated automatically on your pages. Sitelok V5.2 has a number of new features and some bug fixes. Added !!!userid!!! !!!createddmy!!! and !!!createdmdy!!! email template variables. Double clicking user row opens edit user page. Option for SUBADMIN users to only have access to specific usergroups. When exporting users there is now an option to use custom field titles instead of custom1 etc in the header row. Import users can import with the column header using the custom field title instead of custom1 etc. Dragging and dropping files and folders in the file manager now works as it should. Fixed an issue with Amazon S3 V2 download links. Sitelok V5.1 has some bug fixes so if you are using V5.0 we recommend updating. As well bug fixes we also have a few new features. Input field and button padding settings have been added to the form designers to allow more styling options. This should make it easier to make your Sitelok forms match the style of other forms you may use on your site. 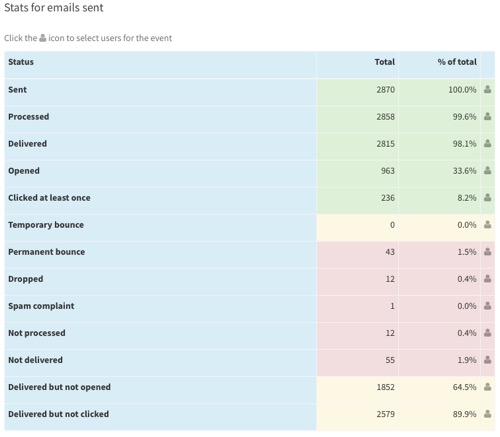 The reply-to address for emails sent from Sitelok can now be overriden. There is also an email test button in the email settings section. 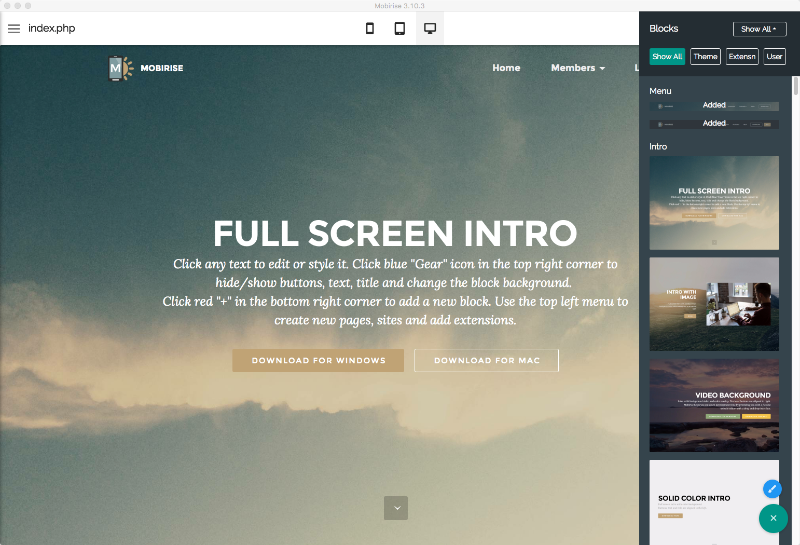 Mobirise is a Mac and Windows app allowing you to easily create mobile friendly websites using a large range of drag and drop Bootstrap based blocks. Sitelok V5.1 works well with Mobirise and their Code Editor extension. We have written a supplementary manual to help Mobirise users integrate Sitelok into their sites. You can download the manual here. It's been in development for some time but we have finally released Sitelok V5.0! The main change is to the control panel which has been completely redesigned and is now responsive and mobile friendly. It is also possible to translate the control panel to other languages or even white label it which is useful for web designers using Sitelok on their clients sites. 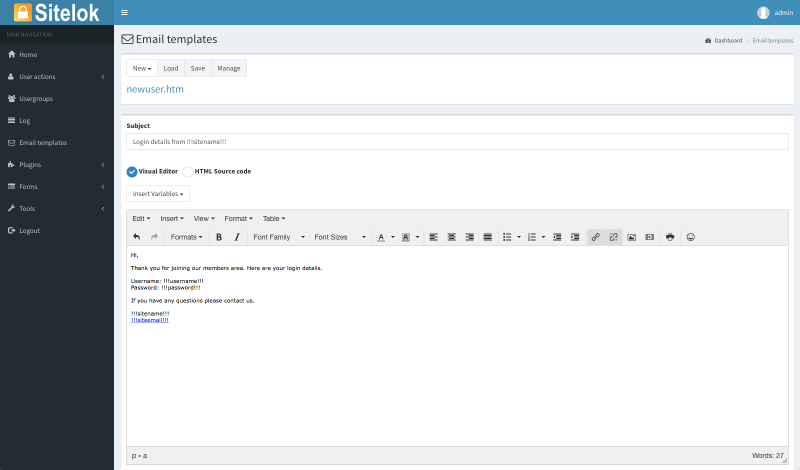 The new email editor and file manager make it easier to create and manage your email templates. Adding template variables is easier too as we use dialog boxes to request any required parameters. Forms created using the built in form designers now use Ajax for a better user experience. User export now exports just the fields you require with or without a header row. If you are a Rapidweaver 7 user (as we are) we recommend updating to Sitelok V5 so code snippets generated are compatible. The Maintenance Tools plugin has been updated to V1.1. This version fixes some bugs when used with Sitelok V4.6 and also adds an option to add users to usergroups. We have released Sitelok V4.6 which supports the latest security techniques for storing users passwords (if you enabled hashed passwords). There are a number of other new features, improvements and bug fixes. We have released a Cartloom plugin for Sitelok. The plugin can create or update users in Sitelok when products are sold via Cartloom. This is useful if you wish to create support accounts for your products or even just to sell memberships. Works with the Credits plugin too. Please not that Cartloom doesn't support recurring payment subscriptions though. The plugin is free for licensed users of Sitelok. V1.2 of the Sitelok Register Codes plugin has been released adding support for usergroup specific codes. So for example you can use a registration form where the code issued to the user determines the usergroup(s) they will belong to. This feature can also be used on an update profile form as well allowing codes provide users with extra access. Sitelok Blab messaging plugin has been updated to V1.6 to fix some bugs. A new contact form designer has been added. Although not a necessary part of Sitelok many of you asked for this to allow the contact form to match Sitelok forms on your sites. The import users function has new features allowing custom file formats to be used and also the ability to update only certain fields of existing users. For more advanced users we have added functions similar to sl_ismemberof() but working with multiple groups. This is useful if you want to show parts of your page to members who belong to one of a number of groups or all specified groups. There are a number of bug fixes and tweaks as well. If there are other actions that you think could be useful please let us know and if possible we will try to add them to the plugin. A new feature has been added to the free Linklok Orders plugin which allows you to select all users who have purchased specific products. Once selected you can email the users for example. We have made some minor updates to the Whois online, Blab Messaging and PDF Watermarking Sitelok plugins. We have release a manual to help users of Serif Webplus integrate Sitelok V4.3 or above. You can download it free of charge from the Sitelok download page. We have updated our Freeway Pro manual for users of Sitelok V4.3 or above. You can download it free of charge from the Sitelok download page. The previous manual is still available for users of older versions of Sitelok on the same page. We have updated our Rapidweaver manual and example project for users of Sitelok V4.3 or above. You can download it free of charge from the Sitelok download page. The previous zip is still available for users of older versions of Sitelok on the same page. We have released Sitelok V4.3 which has built in designers for creating registration, update and login forms. This allows you to create great looking, responsive forms and to generate the code to simply paste in your pages. We have released Sitelok V4.2. This version has a number of new features and bug fixes. We have designed a new default login form which is responsive and works better with mobile devices. add a 'Register now' or 'Not Signed up' link as well if you wish. back to usergorup start page (or any other page if required). or to the usergroup start page. We have updated the Sitelok Blab! messaging plugin to V1.2. This version allows you to choose which fields to display in a filtered user list which can be sorted on any field. There are a few of bug fixes as well. You can download the latest version (or purchase it) here. We have released the Expiry Email plugin which can automatically email users to warn them before their membership expires. You can set up to three email templates to be sent at specific times from 90 days before expiry to 90 days after expiry for each usergroup. This plugin is free of charge and required Sitelok V3.0 or above and CRON support on your server. This version also has some bug fixes and tweaks. We have released an update for the Sitelok Facebook plugin to solve some issues reported on some servers. You can download the latest version (or purchase it) here. We have released two new plugins for Sitelok. The Register Code plugin requires a user to enter a one use code during registration which is checked against the list of valid codes by Sitelok. In other words this plugin lets you have a publicly visible registration form on your site but allows you to control who can register using it. Register codes could be distributed in books or scratch cards, sold manually or could be employee numbers for example. This plugin allows you to replace the default CAPTCHA used by Sitelok with reCaptcha. We have released Sitelok V4.0 which has a number of new features including quick filters, an improved backup system, automatic content type handling for S3, ability to reorder and hide columns in the main admin table etc. This version now requires PHP 5 and the mysqli library. We have updated the Sitelok SES plugin so that it can automatically handle bounces and complaints. These can be recorded in the Sitelok log and the user account flagged with the reason in a custom field. If you also use the Email Unsubscribe plugin you can automatically stop emails being sent to flagged addresses. The Sitelok SES plugin V1.1 update is free of charge to users who purchased V1.0. For other Sitelok users the cost of the plugin is $14.95. For more information and to download the manual please visit the Sitelok Plugins page. Freeway Pro is a powerful website design application for the Mac. To help Freeway users work with Sitelok we have written a manual that explains how to create login forms, registration pages and other page types using Freeway Pro. It can be downloaded from the Sitelok downloads page. Our new Blab! 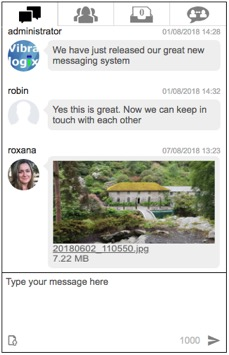 messaging and user profiles Plugin adds a messaging system to Sitelok allowing users to send short (<1000 character) messages publicly and privately to each other. User profile images and nicknames are supported. The plugin also adds the ability to create user profile pages where members can see information about other members (only the parts you choose to allow of course). The plugin costs just $19.95 for existing Sitelok users within their support period and requires Sitelok V3.0 or above. For more information and to download the manual please visit the Sitelok Plugins page. Using the Facebook Connect plugin you can have users signup and login to Sitelok using their Facebook account. This can be used alongside an existing Sitelok login or you can use Facebook login by itself. The plugin costs just $14.95 for existing Sitelok users within their support period and requires Sitelok V3.1. For more information and to download the manual please visit the Sitelok Plugins page. We have released a free Sitelok plugin to integrate with Password Sentry. Password Sentry is a third party product designed to control the sharing of passwords. We have released Sitelok V3.1. We have released a Sitelok plugin supporting our new hardware OTP Tokens. The tokens add an extra security layer to the login process. 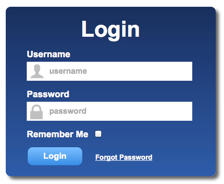 After the username and password have been entered the user is also required to enter a hardware generated one time password. You can assign the OTP Token login method to certain usergroups or specify users as required. For example you could use the tokens to increase the security only for ADMIN users or require that all members use them. The OTP Token starter kit costs $99.00 and includes the plugin, 2 OTP tokens and shipping. For more information and to download the manual please visit the Sitelok Plugins page. Further OTP tokens are available as well. Vibralogix have released the User Files plugin for Sitelok. This allows you to upload files for access by a specific user. So for example if you are a graphic designer you can upload the latest revision of a logo file so that your client can login and access it securely. You can optionally allow users to delete the files and to upload files for you to access too. 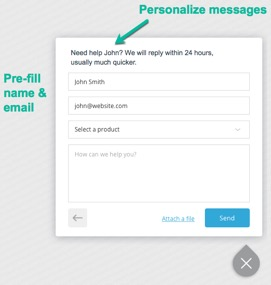 An email can be automatically sent to the user when you upload to notify them of the new files. Similarly you can receive an email each time a user uploads files. The download page that users see can be completely customized to fit in with your site. The User Files plugin for Sitelok costs just $14.95 for existing Sitelok users within their support period. For more information and to download the manual please visit the Sitelok Plugins page. Vibralogix have released a plugin for Sitleok allowing single sign on (SSO) with the Vanilla Forum. In other words Sitelok will be the login system used by Vanilla so a user only needs to enter their Sitelok login details to have access to the Vanilla forum as well. The Vanilla Forum plugin for Sitelok is free of charge for existing Sitelok users within their support period. For more information and to download the manual please visit the Sitelok Plugins page. 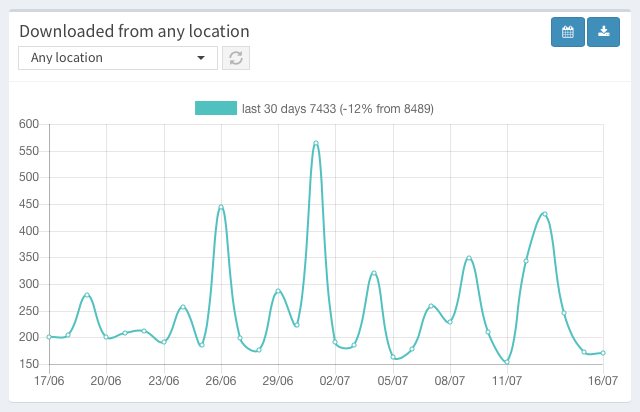 Vibralogix have released a new plugin for Sitelok which allows you to see how many users are currently online, who they are and what page they are currently viewing. This information is available in the Sitelok control panel and can also be displayed on members pages. The Who is online plugin for Sitelok is free of charge for existing Sitelok users within their support period. For more information and to download the manual please visit the Sitelok Plugins page. Vibralogix have released a new plugin for Sitelok allowing single sign on (SSO) with the popular web based help desk software, Zendesk. Once enabled Zendesk will use Sitelok for login and user registration. The Zendesk plugin for Sitelok is free of charge for existing Sitelok users within their support period. For more information and to download the manual please visit the Sitelok Plugins page. Vibralogix have released a new plugin for Sitelok providing a way for members to opt in or unsubscribe from receiving emails. It makes use of a custom field to flag whether emails can be sent or not. Members can choose whether to allow emails from registration and update profile forms and special email links allow them to opt in or unsubscribe as well. The Email Unsubscribe plugin for Sitelok is free of charge for existing Sitelok users within their support period. For more information and to download the manual please visit the Sitelok Plugins page. RapidWeaver is great website design application for the Mac. Its ease of use is combined with the ability for more advanced users to insert code whereever they need to create advanced websites. We now have many Sitelok users integrating with RapidWeaver so we have released a free package containing an RW specific manual, a set of snippets and an example rapidWeaver project which we hope will help. It can be downloaded from the Sitelok downloads page. We have added support for the excellent AWeber email marketing service to all of our Linklok products including Linklok Paypal, Linklok 2CO, Linklok Mals, Linklok Clickbank and Linklok URL. Clients can be automatically added to a mailing list either globally or to product specific mailing lists. For further details please visit our product pages. The upgrade is free for users that purchased within 12 months. Sitelok V2.50 has been released. We have released Sitelok V2.40. There are many new features and minor bug fixes. For further information visit the Sitelok page. For further information visit the Sitelok. We have released our first add on module for Sitelok that allows you to sell membership via Paypal using their Buy Now and Subscription buttons. We have decided to release this module free of charge for clients within the support period (at least for now). You can download the module from the Sitelok download page at http://www.vibralogix.com/sitelokpw/downloads.php (you need to login for access). We hope to release modules for other payment processors soon as well. We have just released Sitelok V2.20. As well as a few bug fixes we have added a new email template link called !!!delete!!! that enables a user to delete their account and also a page variable called $slgroupexpiryts that contains the user group expiry times in timestamp format. We have also made Sitelok ready for our upcoming payment processor modules. The first to be released soon will be for Paypal. We have just released Sitelok V2.10. As well as a few bug fixes there are two new features. We have added an option to allow search engines to access an index secured pages. You can define which group or groups the search engine robot will have access to. You can define this setting globally or on a page by page basis if required. Although we think that most sites will still want to block search engine access to their protected pages (this is the default) we have had a number of requests lately for this feature. Although most hosting control panels provide MySQL backup features we decided to add a simple one click backup to the Sitelok control panel to make this as painless as possible. The backup downloads a standard SQL file (zipped up) which contains all the data required to recreate all tables and data. The SQL file can be restored using most mysql managers (such as phpmyadmin).